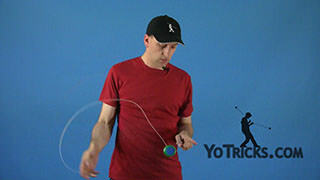 Learn the Redirect Yoyo technique, including how to do the Basic One-and-a-Half Side Mount Redirect. 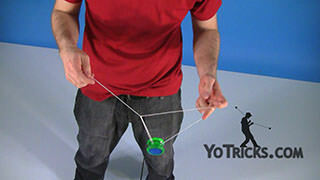 Redirect Intro – One-and-a-Half Redirect Yoyo TrickIn this video we are going to talk about Redirects and I am going to show you one in particular which is the Basic One-and-a-Half Redirect which looks like that. 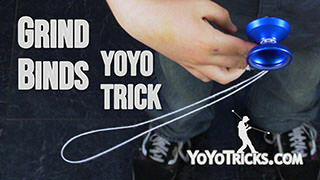 Redirects it is more of a technique than a specific trick so you can do in a lot of different circumstances you can do it completely outside of mounts which is what you will be doing if you do sideways eli hop like this, you can also do it to get into mounts just like this and just we showed you with the Basic One-and-a-half Redirect you can do it starting from a mount and ending in a mount as well. 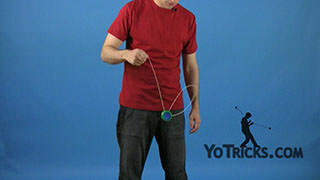 So what we are trying to do with the redirect is we are trying to create a new way of changing the yoyo’s direction that look’s a little bit unusual. 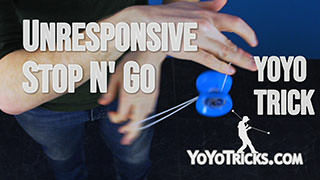 So what a Redirect is, is it is a quick change in direction while a yoyo is moving without depending on gravity and that second part that is really important because that is what is going to make it look a lot different. 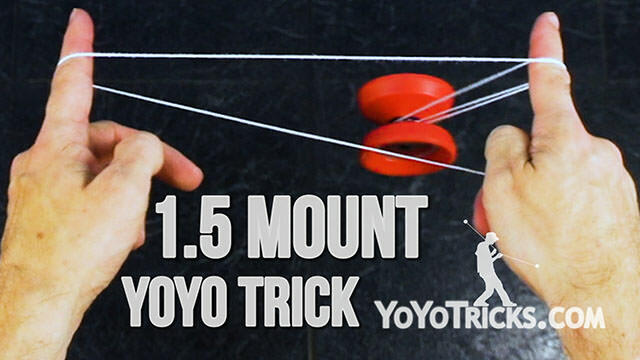 So let me show you what I mean, typically when a yoyo changes direction there is kind of a swinging motion that happens and the reason this allows us to change direction is because gravity is always trying to pull it down to its lowest point. 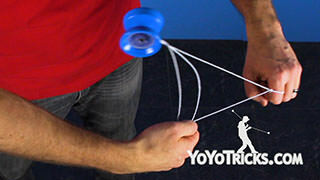 So when a yoyo swings past that gravity is already slowing the yoyo down because it is trying to pull it back to that low point and that is why we get that swinging motion. 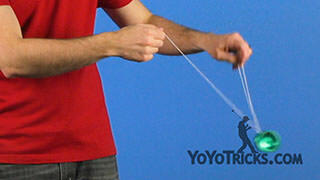 So with the redirect, what we are trying to do is to get it to change direction without depending on that. 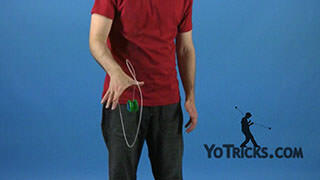 So you can see that unlike the swinging motion in a redirect the effect is incredibly different and its kind of surprising if you have never seen it before and so that is what we are trying to achieve. 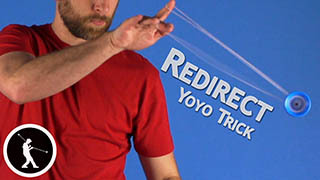 So with all the different types of Redirects, pretty much the technique is the same so I am going to show this one trick and you can apply it in different areas. 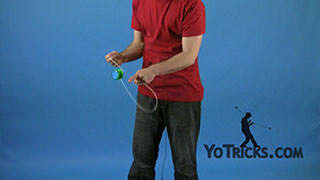 So the first thing that you want to do is as the yoyo is moving you want to create a little bit of slack in the string. 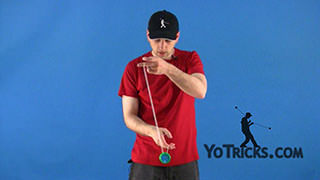 So the way that we do that with the Basic One-and-a-half Redirect is we are going to drop this string right here, so you can see if we drop that there is some slack there but we are going to drop it while the yoyo is in motion and that is what is going to allow us to hit that effect. 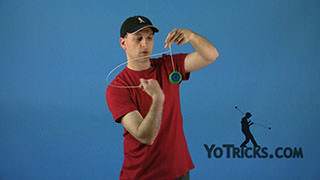 Now the second thing is once you have some slack in the string what you are going to do is you are going to take your hand that you are going to use to achieve the Redirect and you are going to start to move it in the direction of the yoyo but you are not going to move it as fast as the yoyo is moving because what you want is for the yoyo to get ahead of that hand and eat up all that slack so that the string is taught. 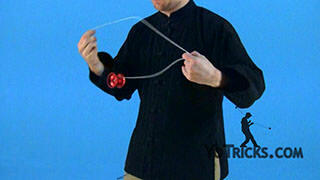 Then at the very moment that the string is taught that is when you change direction. 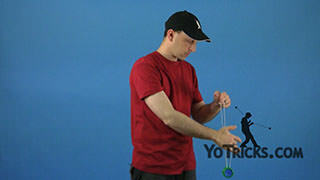 So you can actually use this effect in a couple of different ways, the first way I have already shown you is to have an immediate change but you can also follow the yoyo a little bit as the string is getting taught which can allow the yoyo to hang out there maybe stall a little bit in mid air. 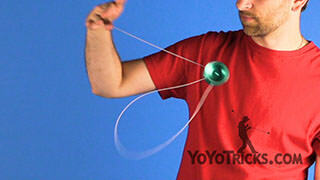 As long as the yoyo isn’t falling too much that also achieves a little bit of a different effect but it works great. 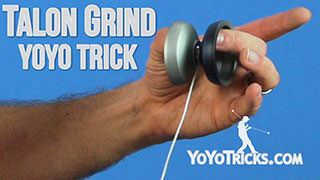 So as you are working on this you may find that you get it right away but this is one of those techniques that can be really really tricky so if it takes you a long time to master it that doesn’t mean you do not understand it, it is actually pretty difficult to get down just right so keep working on it. 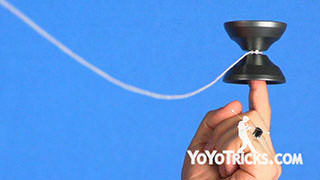 The other thing that you will want to keep in mind is that the point is to make it look different than a change of direction that we can achieve just using gravity and so what you will find in this redirect is that when I hit it, the yoyo and the string coming off of it there almost parallel to the ground and that makes it look as good as possible. 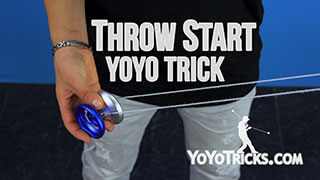 The other thing you can do is you can do is you can do a Redirect where the string and the yoyo are vertical but you can see that because it looks similar to the way the yoyo would change direction with gravity it doesn’t have that same nice effect. 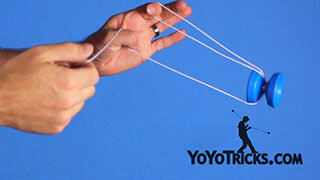 The other thing to keep in mind is you can actually do redirects without dropping any string. 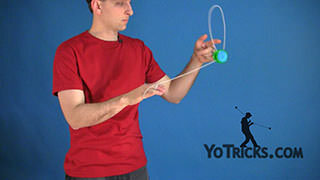 So with this same motion what you can do is as long as you create that little bit of slack in the string, however you create it you can still hit the redirect the same way. It can be a little bit more challenging which is why we recommend starting the One-and-a-half mount, but it can totally be done and that will allow you to experiment in a lot of different mounts. 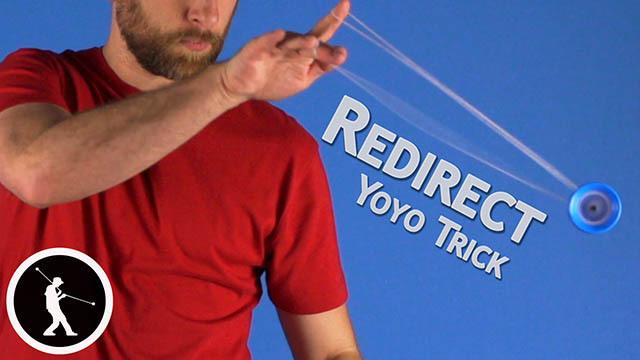 So that should be everything you need to know to get started with Redirects and that the Basic One-and-a-Half Mount Redirect.